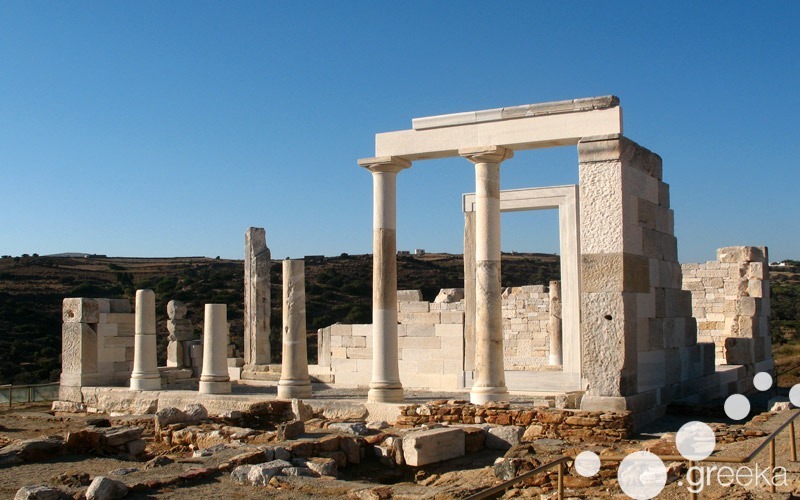 Located in the centre of Cyclades, Naxos is the largest island of this complex. Ideal for families and romantic couples, Naxos is the most relaxing island for summer holidays. Unlike the other islands of Cyclades, Naxos has green nature in the centre, which makes it ideal for hiking and mountain biking in spring and autumn. The myth says that Naxos was the home of Dionysus, the god of wine, which is why the island produced so delicious wine. This tradition continues till today and the wine of Naxos is famous for its high quality. Another myth says that Theseus abandoned Ariadne in Naxos, on his return trip from Crete where he killed the legendary Minotaur. Dionysus later met Ariadne and married her. With a long history, interesting culture and wonderful nature, Naxos is among the best islands to visit in Greece. 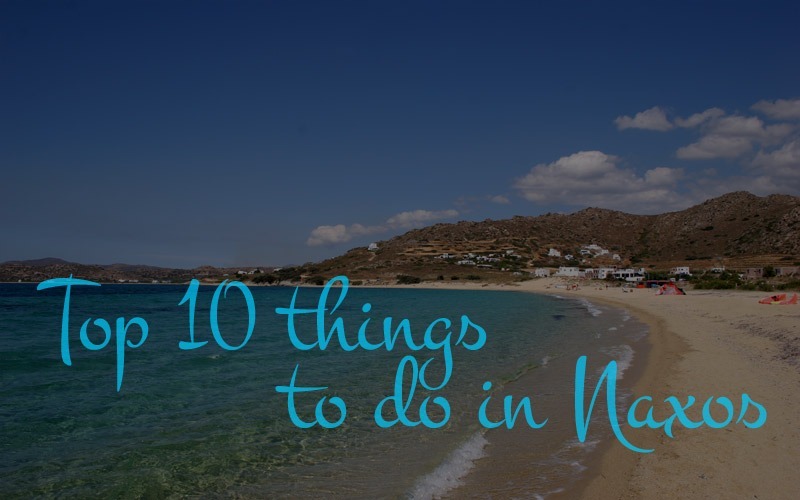 Here are the top things to do on your holidays in Naxos. 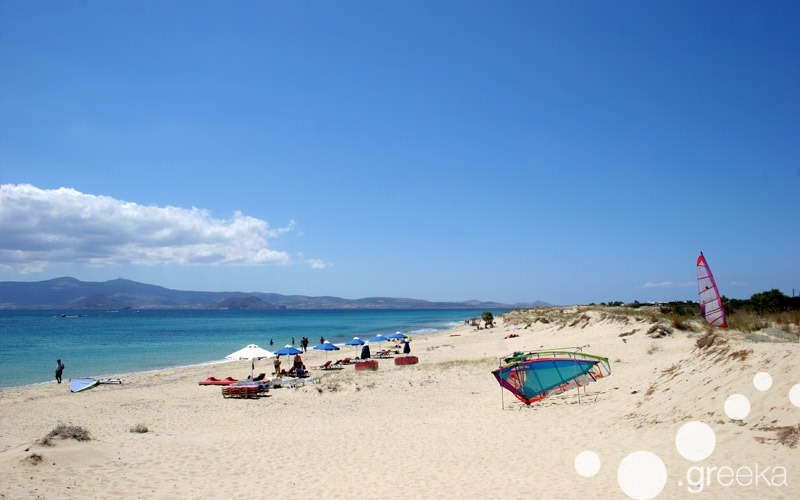 The western side of Naxos has the best beaches on the island. From Agios Georgios and Agios Prokopios down to Mikri Vigla and Alyko, all these beaches have crystal water and soft sand. Some are organized, while others are totally remote. Your ideal hotel & accommodation would be a place right on the beachside. 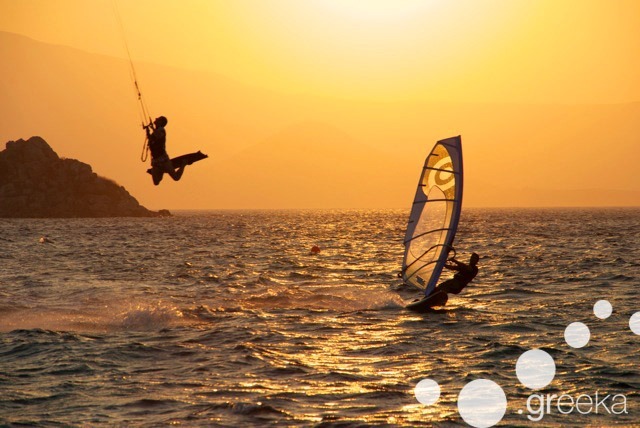 The wind on the western side of Naxos is ideal for wind sports, like windsurfing and kite surfing. 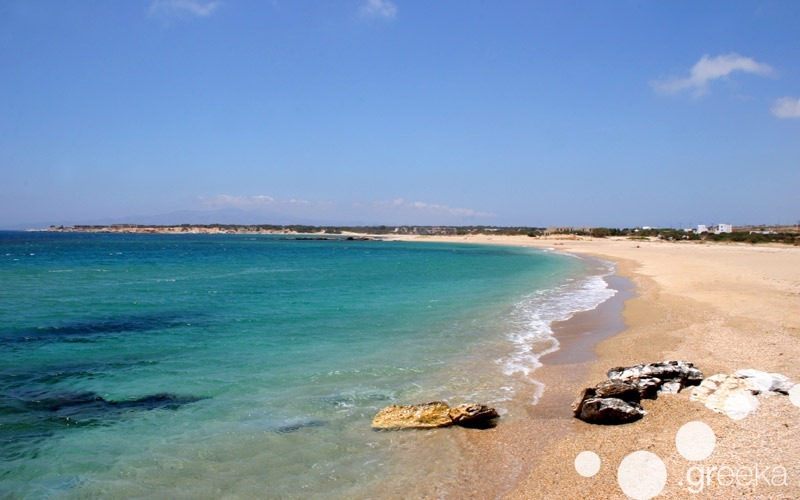 Mikri Vigla beach, Orkos, Agios Georgios and Laguna are the best beaches for windsurfing and kitesurfing in Naxos. In these beaches, there are also sports centres that rent equipment and offer surfing courses for all ages. 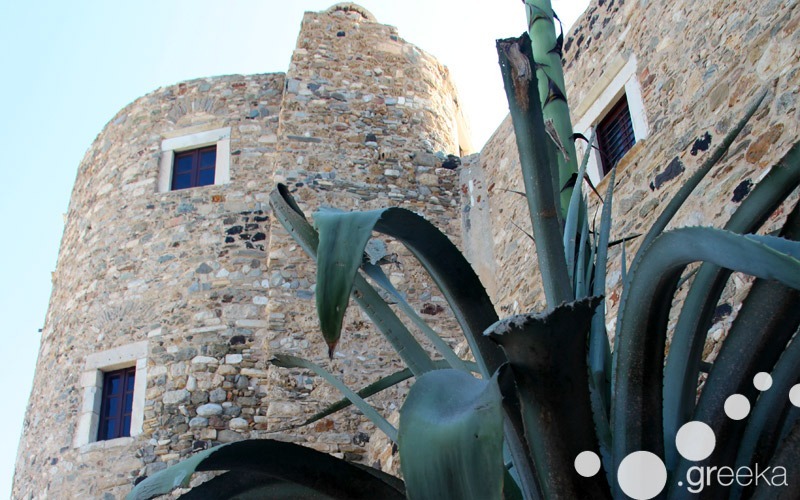 Kastro is the oldest quarter in Naxos Town. With stone buildings, paved paths and arches, Kastro was constructed by the Venetians in the Medieval times. Today most residences in this romantic quarter have been turned into boutique hotels, studios, shops, cultural venues and cafeterias, giving a vivid atmosphere to the Town. 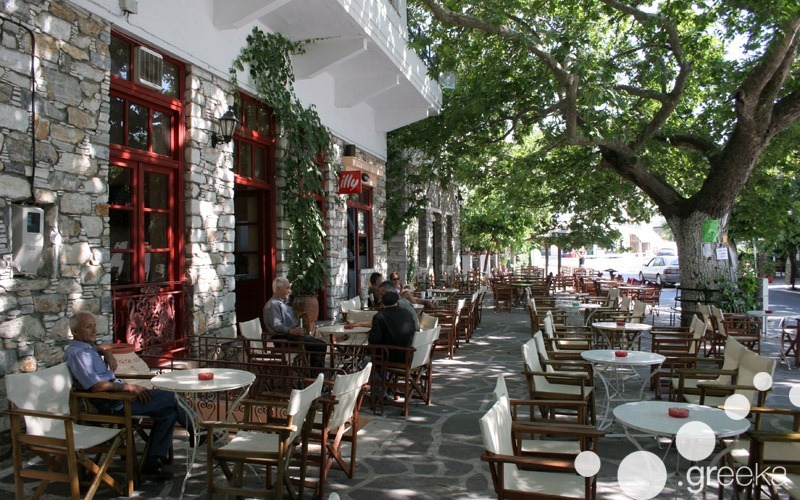 The authentic mountainous villages in the centre of Naxos island are true gems. Apiranthos, Halki, Filoti and Potamia are the most picturesque villages in the centre of Naxos, surrounded by wonderful green nature and keeping an original character away from tourists. 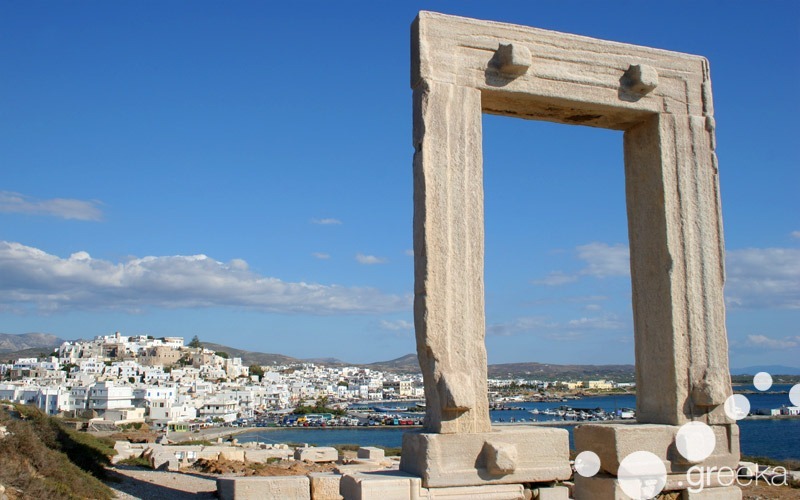 The Portara is the symbol of Naxos and the first thing to see as the ferry approaches the island. This is a marble gate standing on top of a small islet that is connected to the Town of Naxos through a small passageway. This gate is the only remain from a 6th century BC temple of Apollo. A short walking distance or bike ride from the village of Ano Sangri is the Temple of Demeter, goddess of grain. This temple was originally constructed in the 6th century BC and restoration works are continued till today. A small Christian chapel of Saint John is found next to the ancient temple. 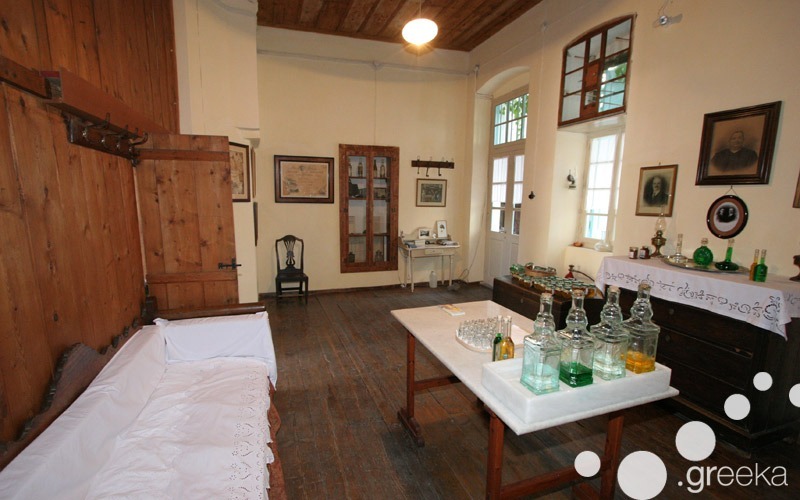 On your walk around the village of Halki, you will come across the Vallindras Traditional Distillery of Kitron. This distillery offers a tour in the distillation process of the kitron liqueur and at the end of the tour, you can taste this traditional drink of Naxos. Hiking is a lovely activity in Naxos. 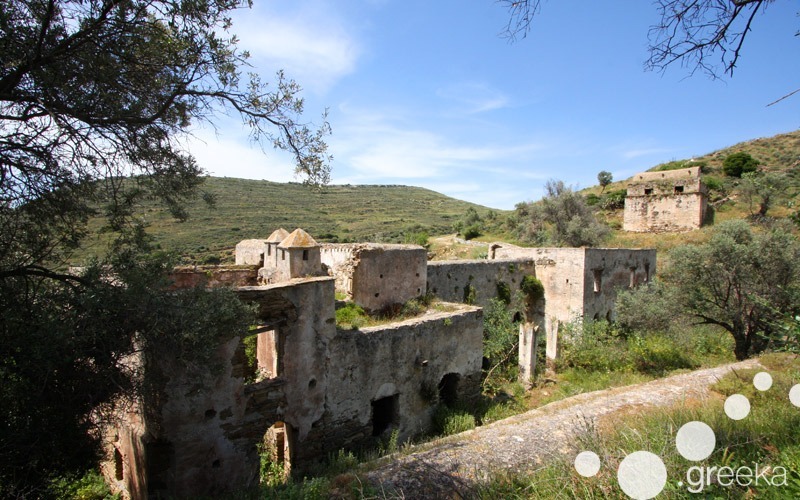 There are many old stone footpaths that cross the centre of the island and connect mountainous villages, Venetian towers, ancient sites and secluded beaches. A very nice hike route starts from the village of Melanes to the deserted Jesuit Monastery of Kalamitsia. There are so many churches in Naxos that it is highly possible you attend a panigiri (religious feast) on your holidays. Every village has a central church and many small chapels in the countryside around it, therefore many panigiria are organized every year on the name day of the church’s saint. These panigiria include litany of the saint’s icon all around the village and then dancing, eating and drinking in the central square till the early hours. Particularly on August 15th, on the occasion of the Dormition of the Virgin, many religious feasts are organized all around Naxos. Very special is also the feast on the islet of Panagia Parthena, right opposite Mikri Vigla Beach. 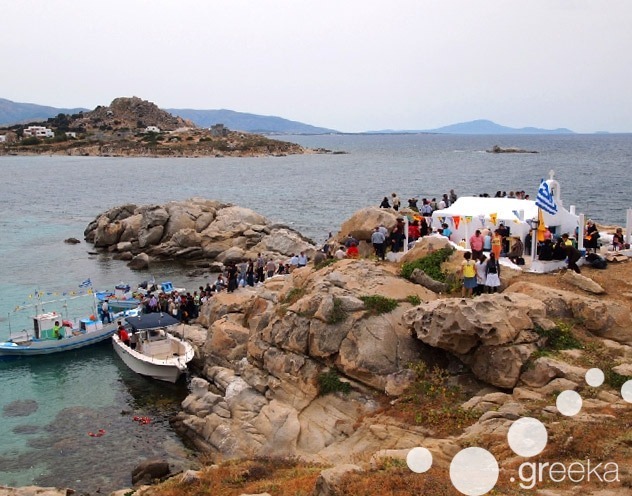 The church on this islet celebrates every year 40 days after the Orthodox Easter (movable feast) and pilgrims are transported to the islet in boats. The cultural Naxos Festival lasts for all summer and includes many important events, from lectures and seminars to art exhibitions, theatre performances and musical concerts. Some of these events are held in English to facilitate foreign visitors. The festival takes place at Bazeos Tower, in the countryside of the island.